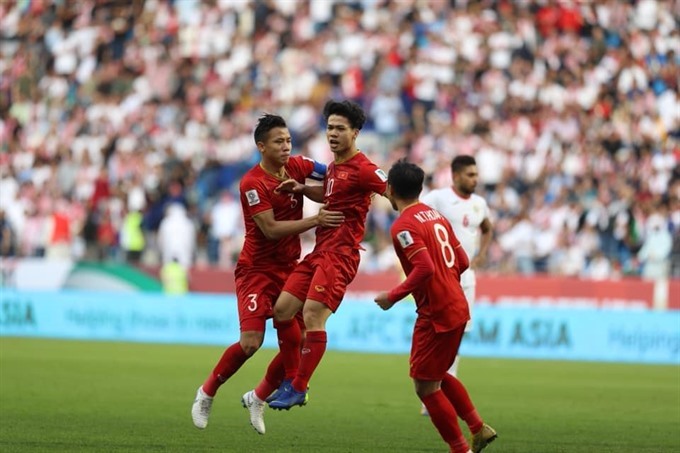 HA NOI — Viet Nam are through to the quarter-finals of the AFC Asian Cup after beating Jordan 4-2 in a penalty shootout at Al-Maktoum Stadium in Dubai, United Arab Emirates tonight. Viet Nam entered the game with confidence following their performance in qualifying. The first breakthrough fell to Viet Nam thanks to good work on the left wing from midfielder Phan Van Duc, striker Nguyen Cong Phuong and midfielder Nguyen Quang Hai, but Duc was unable to latch on to Hai’s through ball. 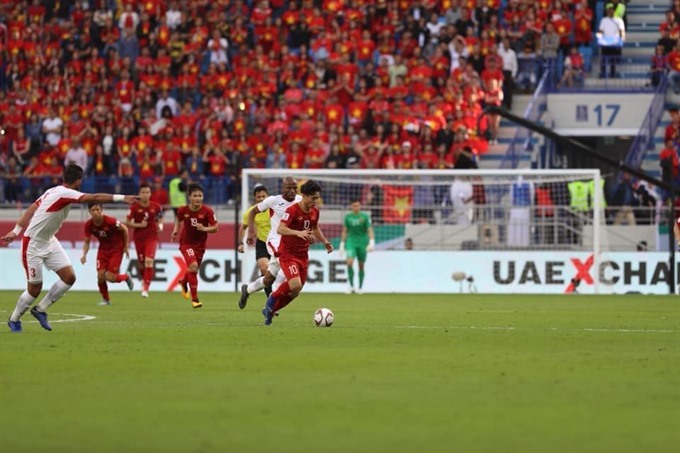 Jordan responded after a careless pass from midfielder Nguyen Huy Hung, but Yousef Rawshdeh’s left-footed shot was unable to squirm past goalkeeper Dang Van Lam. 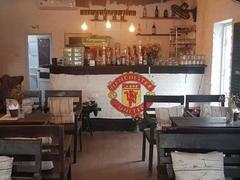 Jordan maintained their pressure and Mousa Suleiman was denied by Lam in the 26th minute. 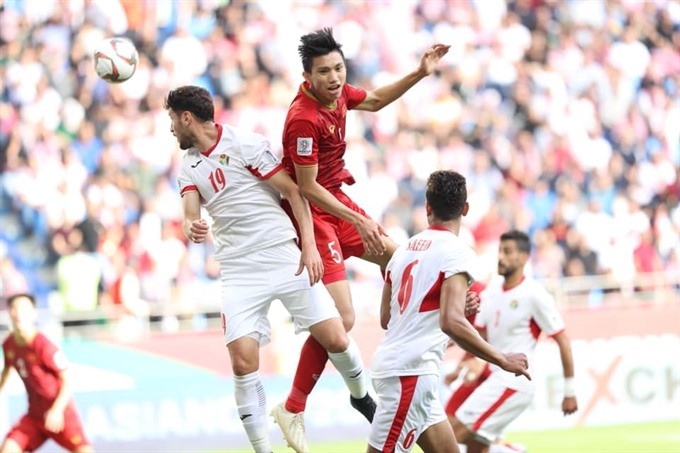 Viet Nam fought back strongly with defender Doan Van Hau firing off a dangerous shot that goalkeeper Amer Shafi was equal to, and Phuong was unable to convert the rebound. In the 39th minute, a freekick was awarded to Jordan on the left wing and Baha Abdel-Rahman slammed the ball high past Lam to claim the opener for Jordan. 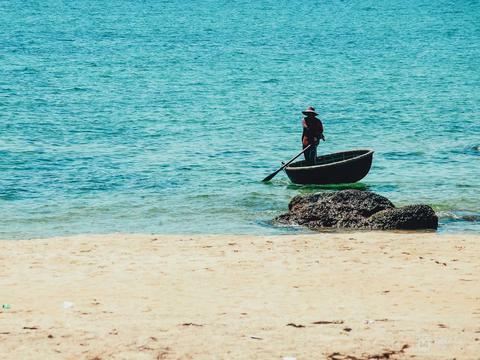 Viet Nam had two long-range efforts to level before the half-time whistle, but were denied. 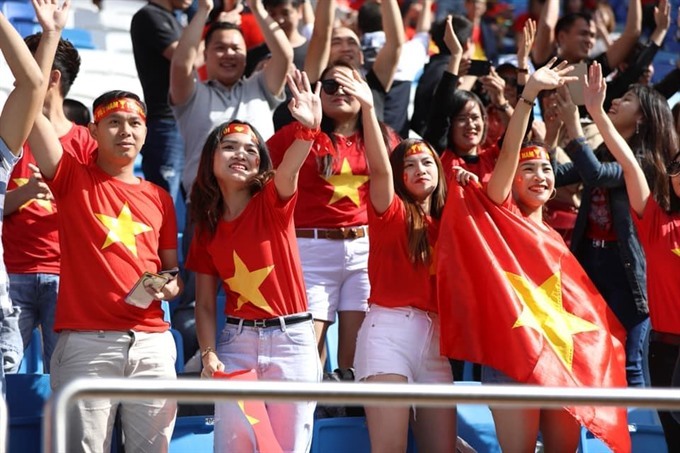 But it wasn’t long into the second half that Phuong scored a cracking volley to equalise for Viet Nam, the first goal Jordan had conceded at the Cup. Viet Nam had a chance to take the lead in the 58th minute, but defender Bui Tien Dung’s header hit the crossbar. 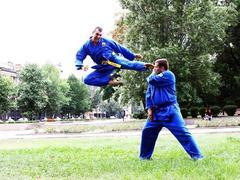 Viet Nam continued to dominate the game with possession of 60 per cent but were unable to convert their dominance.